When you arrive at Maui Tradewinds® you are not simply handed a key and left to find your way. 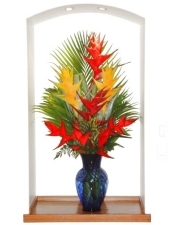 You'll be greeted at the door and welcomed into a world of Aloha! Once you have had an orientation to your accommodations, if privacy is your wish, you could stay the entire time and never see your hosts. However, Bev is there for you if you have any questions or require assistance with directions. 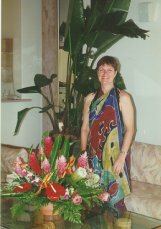 She is knowledgeable about Maui -- from its history to its local customs, climate, geography...she can point you toward the most excellent vacation opportunities depending on your interest. Whether you're into beachcombing, snorkeling, hiking, biking, exploring caves, swimming in waterfalls, fine dining, shopping, whale-watching, extreme windsurfing, finding a safe cove where your child can swim -- Bev can be a valuable resource to help you make the most of your stay on Maui. However, one thing we cannot offer is a cooked breakfast. Click Here to find out why. Bed and bath linen is provided, as well as greencotton robes. An iron and ironing board, and hair dryer are supplied. There is no charge for using the laundry facilities (including supplies). You will be provided with a selection of regular and herbal teas as well as fresh-ground coffee from Maui Coffee Roasters. 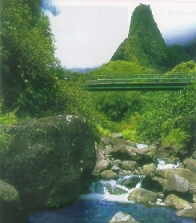 You are also welcome to choose from our extensive library of books and guides about Maui, and CD's -- including Hawaiian slack key guitar. Dish Satellite with Sirius music channels and fifty-six movie channels. Broadband WiFi internet access, local and long-distance telephone calls to the U.S. and Canada are all complimentary. If your rental car has a CD player, we have audio CDs to take along for added enjoyment, including a self-guided audio tour of the Road to Hana. Beach chairs, beach towels, beach mats, picnic cooler and boogie boards are available at no charge. We will provide you with a detailed hiking trail guide as well as an atlas of Maui's 80+ beaches...Before you leave home, make a phone call to Bev, and she will give you a list of other items which she provides, so you won't pack or unnecessarily purchase duplicate items on your way here. 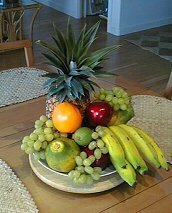 Guests who stay at least seven nights* will find their accommodations accented, upon their arrival, with fresh tropical flowers, a basket of sumptuous island fruit, fresh bakery goods and juices. *If you stay less than seven nights, these amenities may be purchased separately: fruit basket $50; flowers $65. Are you coming to Maui for a special occasion? A celebration? Let us know what we can do to help make it perfect! If you wish, a special amenity can be prepared in advance of your arrival, such as a bottle of chilled champagne. Extra maid service can be arranged if you require it during your stay. This is usually unnecessary, since there are plenty of extra bath towels and bed linen. You can arrange for a licensed massage therapist to administer in-room treatment, or a gourmet chef to prepare and serve an intimate repast. Most of our guests appreciate privacy, so we will not ordinarily enter your space without your invitation. We'll check with you and agree on a convenient time to perform services, for which there is no added charge, including laundering bed & bath linen, servicing the hot tub and replacing breakfast items.